-Every month, I’m assigned a random blog. -I keep it a secret (hence the name) until the designated post time and date, given to me by the organizer of the “Secret Recipe Club”. -I get to pick a recipe, any recipe from my assigned blog. -Someone else out there in bloggerland, does the same, using a recipe from A Bountiful Kitchen. This month’s post comes from Heather at “Join us, Pull up a Chair”. It’s like summer in a muffin. What a pretty muffin to try out for this month's event. Great combination – banana and strawberries! 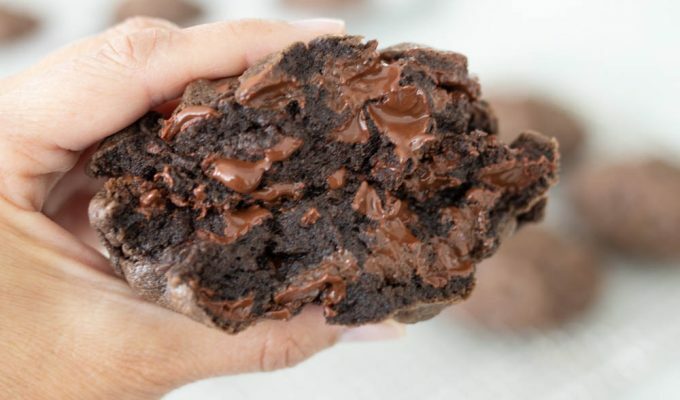 This looks like such an easy yet delicious recipe, it's definitely bookmarked for my next baking session with the kids! The photos tell the entire story. Oh yum! I always seem to have too ripe bananas. These muffins may be next on my list to use them. They look great! Those are pretty! Strawberries & banana together must be delicious. Strawberries and bananas are such a great combination. Beautiful muffins. This is my first month in The Secret Recipe Club and it's so much fun! I'm just loving all the new blogs and recipes I'm seeing. I never thought to put banana & strawberries in a muffin, I'll have to give these a try. These look like great summer muffins! I just made banana ones last night but the thought of adding strawberries to them seems perfect. Will definitely give this a go. who featured you? 🙂 and what did they make? If you like going from my blog, you're welcome. Oh wow. A secret recipe club. You sure are exclusive 🙂 Loved these muffins. So I never thought of putting strawberries and banana together in muffin – but why not? They look gorgeous! Strawberry and banana! Wow. I can't believe I never thought of that! Love the big chunks of strawberries! I bet my kids would love this recipe. These looks so yummy and fresh… wish I could get my hands on them now! Love strawberry and banana together! Love these plump and gorgeous beauties! Happy to be a part of SRC and get to know you 🙂 You have a lovely space and am off to browse your recipes. What a yummy recipe! Visiting from Secret Recipe Club! btw – I love your header!